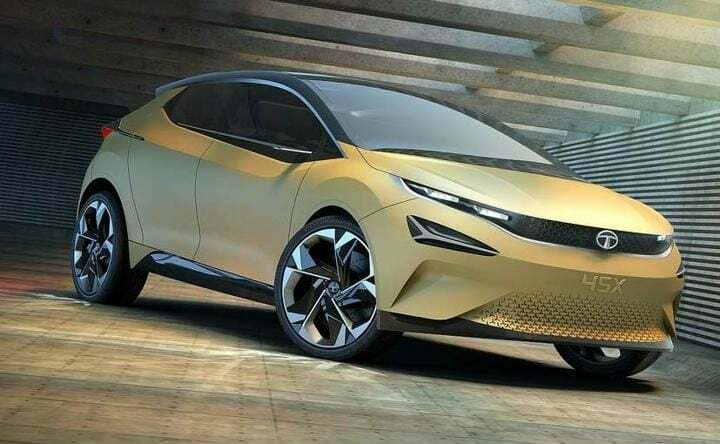 Tata 45X concept based hatchback is going to launch in India during the second half of 2019. Primary rivals will be Maruti Baleno and Hyundai i20. Its latest rendering shows a sporty silhouette. Tata Motors is going to introduce an all-new premium hatchback in their portfolio next year. This hatchback will be based on the 45X concept which the automaker showcased at this year’s Auto Expo held in Delhi. The 45X concept made headlines at the event due to its radical styling. And Tata Motors is expected to carry a forward majority of the aesthetic cues from the concept to the production model. We say that in light of the Nexon’s production guise resembling quite a lot to its concept version. This has resulted in numerous renderings of the 45X hatchback being made ahead of the car’s much-anticipated debut. 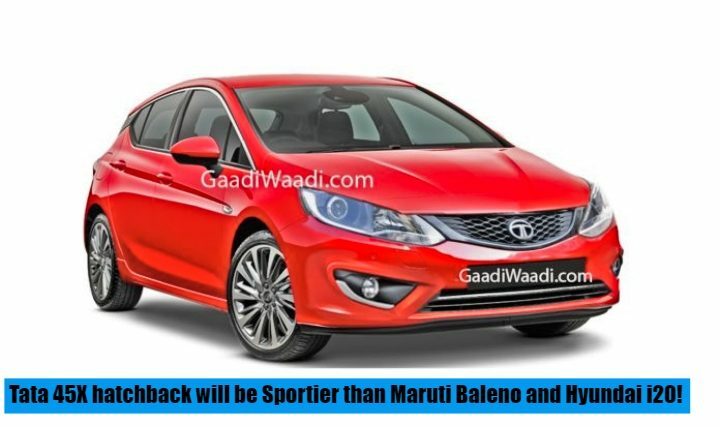 One such rendering done by Gaadiwaadi shows a sportier outlook of the hatchback’s production guise. It portrays the car in a striking red colour. Hence, making it look sportier than its immediate rivals, the Maruti Suzuki Baleno and Hyundai Elite i20. Tata Motors has kept all the major details regarding the 45X hatchback under the wraps. What it has conveyed to the media though is that it will be based on the company’s new Alpha platform. In future, the homegrown automaker plans to bring down its total number of platforms to just two. Other than the Alpha, it will have the Omega. The former will be used for all the vehicles measuring below 4.2m while the latter will employ vehicles more than 4.2m in length. In light of the Tata Nexon, we have every reason to believe that the 45X based premium hatchback will also have a radical design. And is going to further improve the brand image of the company in our country. In addition to having a sporty design, this new hatchback, which will sit above the Tiago, is going to come loaded with features and creature comforts. It will have all the industry standard equipment list and then some more. Furthermore, this hatch will also employ a decent safety kit along with strong body shell to meet the upcoming crash test regulations. As mentioned before, most of the details regarding the Tata 45x hatchback are still under the wraps and hence it will be too early to comment on the engine specifications of this hatchback. However, we can still make a safe speculation in this regard. We expect this car’s petrol derivative to get the same 1.2-litre turbocharged petrol engine from the Nexon. While the diesel derivative will get Nexon’s 1.5-litre diesel mill. It will get a 5-speed manual transmission as standard along with the option of an automatic variant as well. Since this car will compete with the likes of Maruti Suzuki Baleno and the Hyundai i20, prices are likely to fall in the range of INR 5.5 Lakh to 8.5 Lakh.